What a luxurious and memorable time I had, spending a few days last April with the talented Virginia wedding film photographers Michael and Carina and getting to stay at the Retreat at Cool Spring! 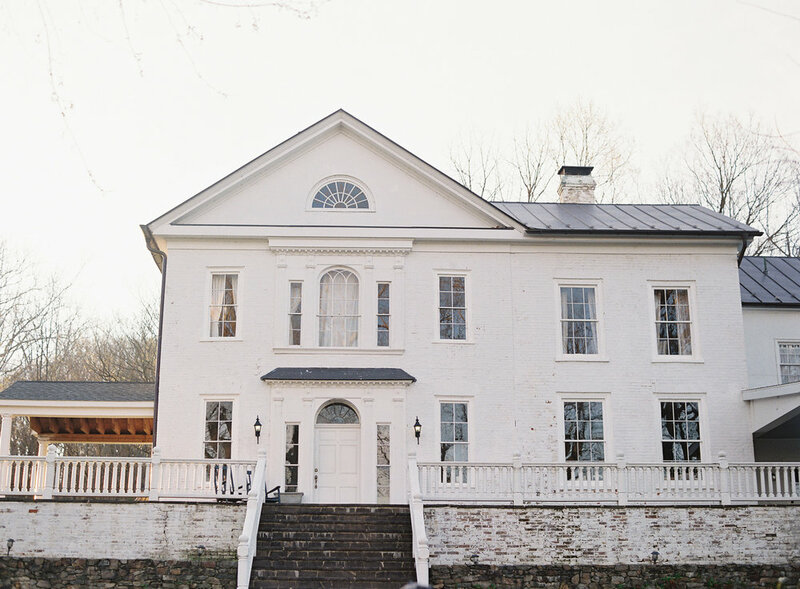 Built in 1799, the Retreat sits atop a small hill in rural Virginia, and is impeccably decorated and styled in that countryside, neutral aesthetic we love so much. I drew inspiration from the time period of the early 1800s for all of our workshop shoots, including this one, inspired by two poems: "She Walks in Beauty" by Lord Byron (1815) and "She was a Phantom of Delight" by William Wordsworth (1807). The first gown, a cream beaded beauty by Carol Hannah, evokes the true, classic beauty of Byron's muse, while the second gown, a flowy pistachio gown with a plunging neckline, shows the "lovely Apparition" and "angelic Spirit" of a woman from Wordsworth. Having our model run through a field and capturing the almost ghostly motion of her dress on film further adds to the mystery of the poem.